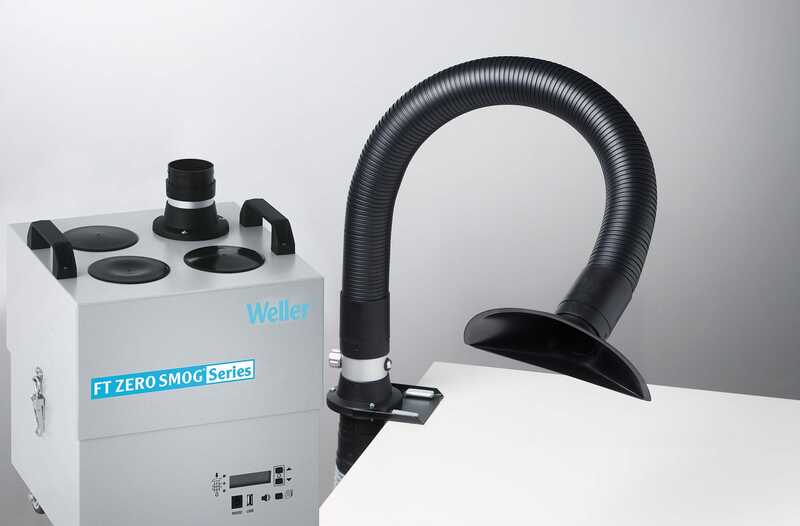 The fume extraction unit Zero Smog 4V Kit 1 Funnel is easy to install and operate. It is designed for use as a small central system. The kit is supplied complete with 1.pcs flexible hose, flexarm, funnel nozzle, valve and bracket, ready for installation at the workplace. 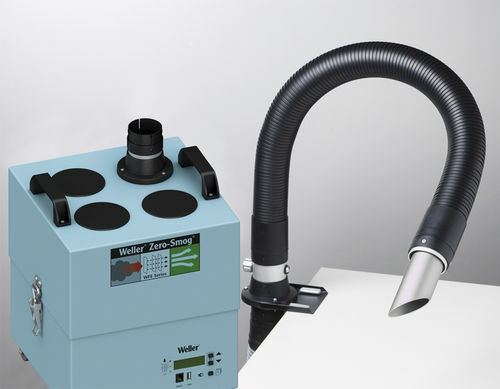 A powerful, maintenance-free turbine provides continuous fume extraction at a maximum air extraction rate of 230 m3/h. With setting constant flow control the adjustable turbine speed avoiding unnecessary waste of suction power and saving energy.